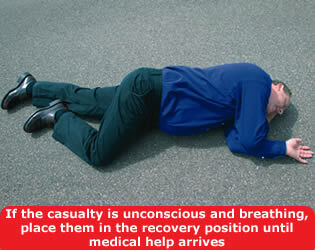 In the event of an incident, you can do a number of things to help, even if you have had no formal first aid training. Further collisions and fire are the main dangers following a crash. Approach any vehicle involved with care. Switch off all engines and if possible, warn other traffic. Stop anyone from smoking. Try to get the assistance of bystanders. Get someone to call the appropriate emergency services as soon as possible. They will need to know the exact location of the incident and the number of vehicles involved. DO NOT move casualties still in vehicles unless further danger is threatened. DO NOT remove a motorcyclist’s helmet unless it is essential. Remember the casualty may be suffering from shock. DO NOT give them anything to eat or drink. DO try to make them warm and as comfortable as you can, but avoid unnecessary movement. DO give reassurance confidently and try not to leave them alone or let them wander into the path of other traffic. D - Danger - check that you are not in danger. R - Response - try to get a response by asking questions and gently shaking their shoulders. A - Airway - the airway should be clear and kept open. Place one hand on the forehead, two fingers under the chin and gently tilt the head back. B - Breathing - normal breathing should be established. Once the airway is open check breathing for up to 10 seconds. C - Compressions - if they are not breathing normally compressions should be administered to maintain circulation; place two hands in the centre of the chest and press down 4-5 cms at a rate of 100/minute. You may only need one hand for a child. Give 30 chest compressions. Then tilt the head back gently, pinch the casualty’s nostrils together and place your mouth over theirs. Give two breaths, each lasting one second (use gentle breaths for a small child). First check for anything that may be in the wound, such as glass. If there is nothing embedded apply firm pressure over the wound. Take care not to press on the object - build up padding on either side of it. Fasten a pad to the wound with a bandage or length of cloth. Use the cleanest material available. If a limb is bleeding, but not broken, raise it above the level of the heart to reduce the flow of blood. Any restriction of blood circulation for more than a short time could cause long-term injuries. Try to cool the burn by dousing it with clean, cold water or similar non-toxic liquid for at least 10 minutes. Do not try to remove anything sticking to the burn. Always carry a first aid kit. 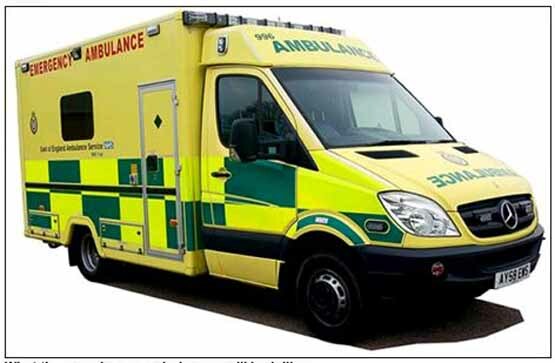 You could save a life by learning emergency aid and first aid from a qualified organisation, such as the local ambulance services, the St John Ambulance Association and Brigade, St Andrew’s Ambulance Association, the British Red Cross or any suitable qualified body. First Aid Training courses are available from St John Ambulance.